Do you clam up around someone you find attractive? Is every moment spent with that person dominated by anxiety over your physical tics or social awkwardness? Are you looking for a way to deal with your nerves when it comes to approaching women? Today’s episode is brought to you courtesy of one of our viewers. Isaac, from South America, wrote recently expressing his gratitude and presenting a tough situation: Isaac is in love with a woman. That’s not the problem—the problem is that his social anxiety and lack of confidence in his approach are keeping him from behaving naturally and comfortably in her presence. In fact, it makes him freeze up altogether. So, what Isaac is wondering is when he should talk to her again and how he should get over this hurdle. This is a problem that I’m sure just about everyone reading this can relate to: you get close to someone, start to form a connection, and then pull back once you begin to get close. So much of what Isaac is talking about here relates to problems stemming from not just anxiety, but low self-esteem. Fact: everyone deals with self-esteem issues at one time or another. In particular, when it comes to relationships, we tend to develop this fear that the person we like won’t possibly be able to love the real us. We believe that the more time the person spends with us, the more she’ll get to know our underlying personality, and the less attracted she’ll be. Sadly, that belief keeps us from wanting to forge a real connection. This issue actually extends far beyond romantic relationships—if this is truly an issue for you, it can affect every connection in your life. Rather than being all about one woman, this is really about you embracing your masculinity and becoming the most powerful version of yourself. How do you do that? By healing the way you treat yourself. 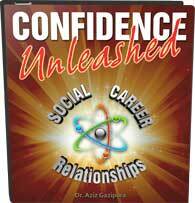 The greatest indicator of your inner relationship with yourself is your outward expression of self-esteem. Right now, Isaac, you may be concerned about this relationship, and that’s valid . . . but, ultimately, you’ve got bigger fish to fry. To start, your top priority right now needs to be evaluating your self-esteem and assessing your fear surrounding connections with others. After all, the only reason anyone has for worrying about what other people think is if he believes that there’s something wrong with him. If you truly love yourself and understand your value as a human being, you’ll never find yourself at a loss for powerful, confidence-boosting thoughts. If you want to begin you journey toward greater confidence but feel as though you need guidance to succeed, you should know that there are plenty of tools at your disposal. 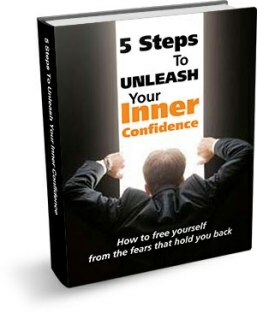 My program, The Confidence Code, for example, dives deeply into self-esteem, including tools and techniques for boosting your confidence and rendering you a more socially dynamic person. In the meantime, find books, search articles, do exercises, journal—try everything under the sun and find out what works for you when it comes to relieving your social anxiety and quieting the self-conscious voices in your head. Find out what makes you believe you’re not valuable enough to deserve this woman’s admiration and ask yourself if this is a fair assessment of your worth. When you start to understand your value, your self-esteem increases, and, in turn, your anxiety will naturally begin to subside. If I were you, Isaac, I would be spending all of my time focusing on self-esteem work: get out there and take risks in social settings; gradually expose yourself to settings that would normally spark your anxiety. Once you begin to feel that surge in your confidence—it may take a few months or longer—you’ll be ready to approach women without fear of making a true connection. As always, I invite you to share your questions and comments below. Do you relate to this situation? How have you dealt with this issue in the past? What words of wisdom can you offer to help Isaac with this issue? Whether you have no idea what this feels like or experience it every day, your opinion and perspective are valuable, so let’s share our thoughts so that we can all support one another and expand our knowledge base.